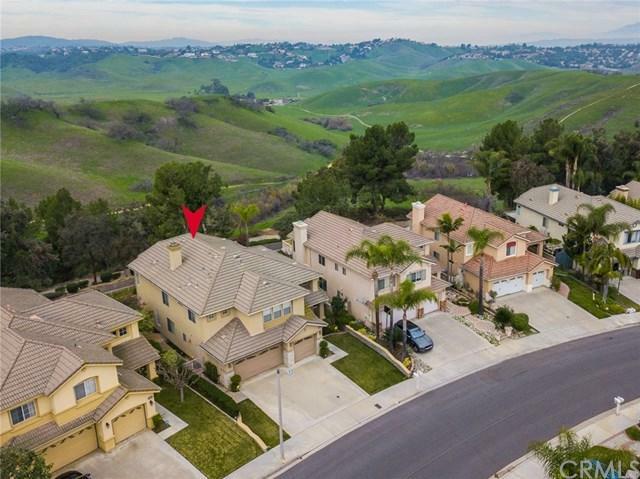 Panoramic unobstructed view of Rolling Hills and sunsets, this property situated in a prestigious desirable neighborhood of Chino Hills. 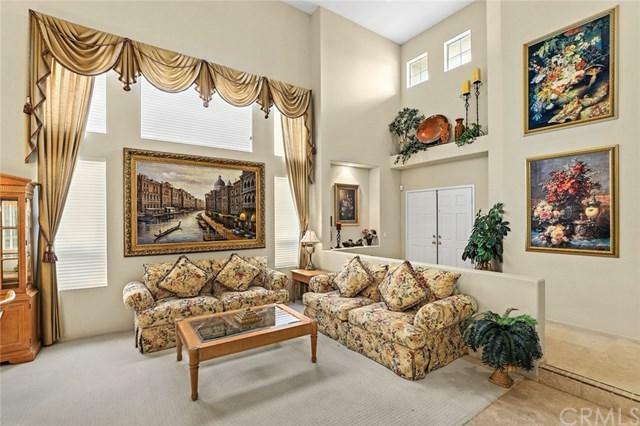 Open living room and formal dining room with very high ceiling. 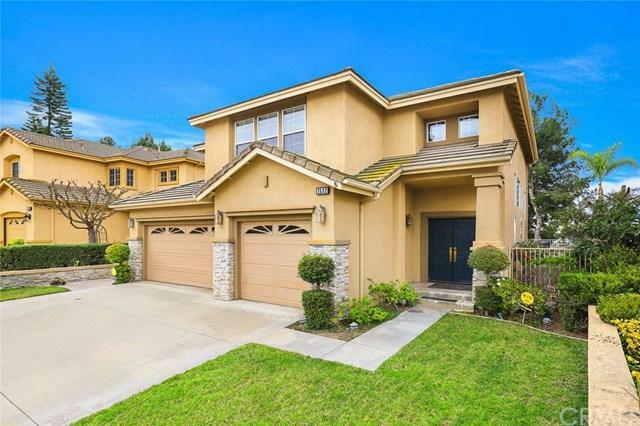 4 bedrooms, 3 bathrooms, one bedroom and bathroom on main floor. Designer window drapes. Spacious family room with fireplace. 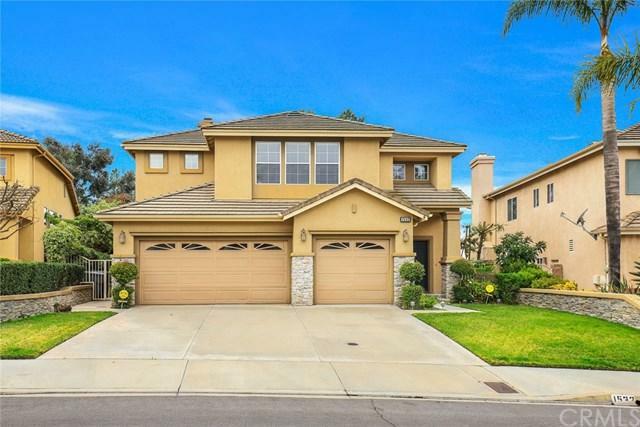 Gourmet kitchen offers large island, breakfast nook and walk-in pantry. Luxurious master suite has office and two walk-in closets, bathtub, separate shower and balcony to enjoy the view. Professional landscaping features build-in B.B.Q. Interior laundry room with sink and cabinet. Close to shopping center and park.